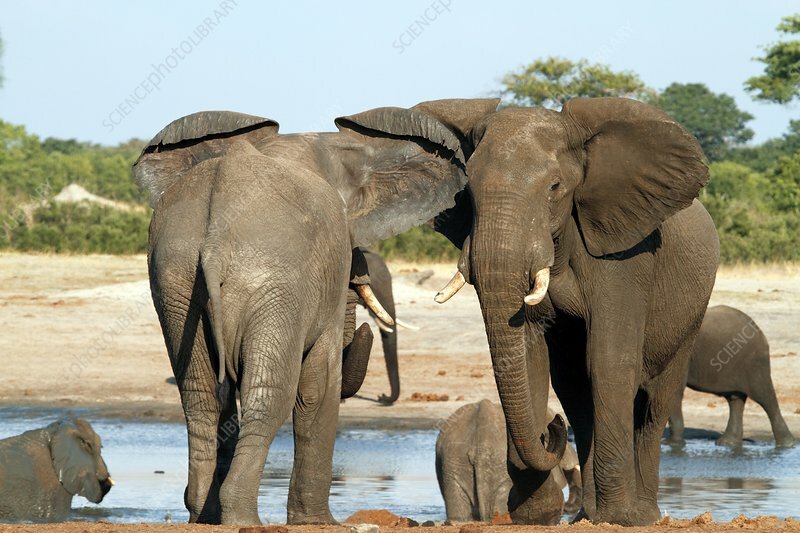 Two adult African elephants (Loxodonta africana) in an aggressive stance with ears forward. Rival males will fight for the right to mate with the females of the herd. Photographed in Hwange National Park, Zimbabwe.